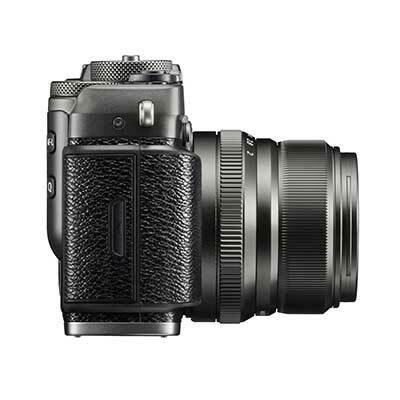 Taking performance to new heights, the Fuji X-Pro2 Digital Camera with XF23mm F2 Lens in Graphite Silver joins the classically-styled X-series of interchangeable lens cameras with a brand new 24.3-megapixel X-Trans III sensor (without an OLPF), X Processor Pro engine and Fuji's revolutionary hybrid (optical/electrical) viewfinder. 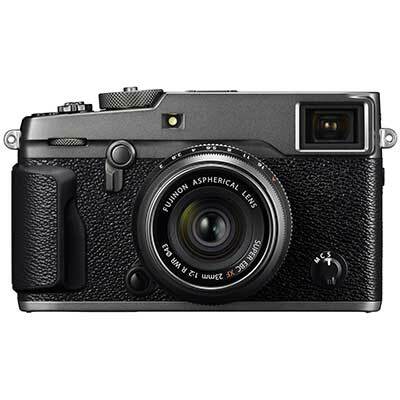 By combining its powerful processing capabilities with a high resolution sensor, the X-Pro2 is able to deliver the fastest AF performance to date in an X-Series camera, alongside a sensitivity range of ISO 100-12,800 (exp. to 25,600) to maximise shooting options in low light. Additional features of the XPro2 include dual SD card slots, Full HD 1080p video recording and built-in Wi-Fi. 4) New focal plane shutter with a top speed of 1/8000 sec. and flash sync up to 1/250 sec. A faster mechanical shutter gives extra flexibility for aperture selections in bright conditions or when shooting with flash during the day. 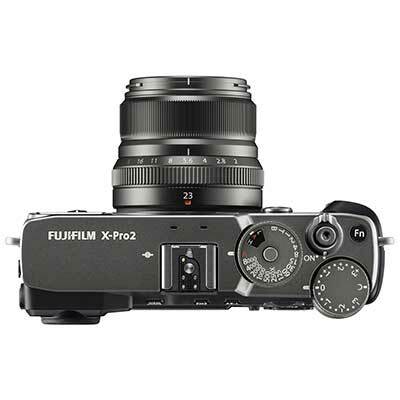 In addition, while noise and vibration levels typically increase with faster shutter speeds, the X-Pro2 is quieter and vibrates less compared to conventional models thanks to the optimization of key controls and parts. 5) Robust, weather resistant body meets the needs of professional photographers.